Inspired by vintage children’s art, this Sweet Baby pillow will be a nursery favorite. The cheerful yellow border puts a modern spin on the retro detailing. 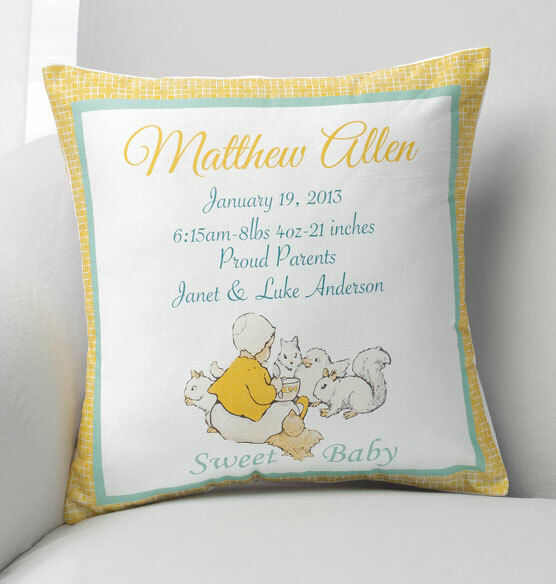 Personalized with baby’s name and other special details, this custom throw pillow is the perfect keepsake gift for babyhood and beyond. I love the look of the pillow. I ordered your former baby pillow a few years ago, and it's a favorite.